T HE FOUR: BATTLE FOR STARDOM begins where the other shows end: with the best. These four top-notch singers, spanning all music genres, will fight each week to defend their coveted seats on the show, as determined newcomers challenge them and try to knock them out of the competition. The singer who is the last one standing at the end of the competition will earn the ultimate prize: the panel of industry experts becomes key players on the winner’s team. This elite group of starmakers will guide the winner’s career to help make him or her a breakout star. Fergie will host the show, and Grammy® Award-winning musician, record producer and songwriter Sean “Diddy” Combs, record-producing hit-maker DJ Khaled, Grammy-winning recording artist and songwriter Meghan Trainor and record label executive Charlie Walk will serve as the show’s panel of experts. These panelists are true star-makers and are responsible for some of the biggest hits and recording artists in the music industry today. 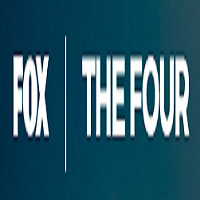 For a look at the eTribez casting URL, see http://www.thefourmusic.com/audition. e Tribez and FremantleMedia UK have opened up online applications for the latest series of the X Factor UK, set to air on ITV. The search for a music superstar is now underway as The X Factor returns for series 15 of the hit show, where hopefuls will once again tackle the audition rounds in the hopes of making it to the live shows to see if they’ve got what it takes for international stardom. Applications for the show run through to July 1, 2018. For a look at the casting URL, see: https://fmuk.www.etribez.com/ag/fmuk/xfactoruk15/preWelcome.html. I magine your dreams only being limited by your imagination. Don’t think it can happen?? 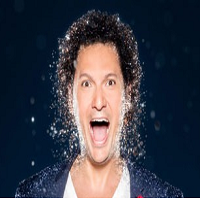 On a new (as yet unnamed) show on the M6 Network in France, that’s just what contestants will be able to do. eTribez, along with FremantleMedia France, will lead the way for online casting for the show. Eric Antoine hosts and will let people live out their dreams – from flying to walking on Mars and everything in between. For a look at the casting URL (in French), see: http://casting.6play.fr/castings/television-radio-web/30157-nouvelle-emission.html.